Civil society organizations and media on Wednesday held advocacy technical session to aggregate their views as regard the ongoing constitution review of the Federal Republic of Nigeria. The advocacy technical session, which discusses 21 bills waiting to be deliberated upon by the states houses of assembly, voted in favour of local government autonomy, independent candidacy, reduction of age for election among others. Two-third of state assemblies who will form simple majority are expected to vote in favour or against these bills before the national assembly can effect the changes in the constitution as part of its major constitutional responsibilities. Briefing newsmen shortly after he highlighted the constitution amendment bills, process and expected benefit for discussion, Barrister Solomon Apenja noted that, in 2010, there was an attempt to amend parts of the constitution including the local government autonomy but could not scale through because it could not get two-third of states assembly to vote in its favour. But he was optimistic this time around that, the bill will receive positive knock by the legislators having learn lessons from the previous attempt and the impact it will create at grassroots when eventually passed into law. According to him, the meeting became necessary in order to allow the citizens to make their input so that their views could be aggregated with a view to strengthening Nigeria’s democracy in the interest of every citizen of the country at home or abroad. “Those bills that meant to deepening and strengthening our democracy should be given proper attention. Citizens should engage their lawmakers to influence bills that will improve democracy”, he said. 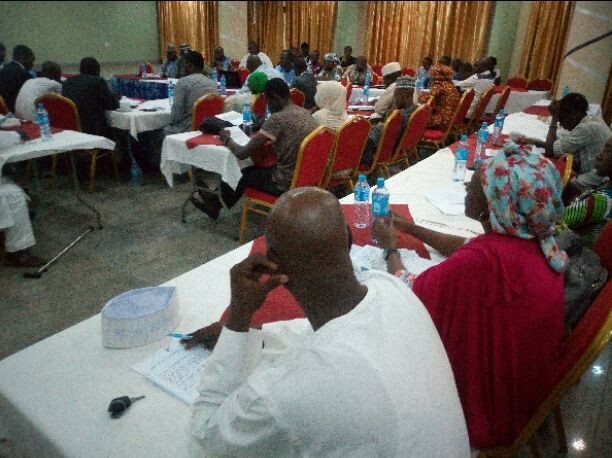 Earlier, State Team Leader of Partnership to Engage, Reform and Learn (PERL), Abel Adejoh said, the need for citizens to know what is happening in the country’s internal democracy as well as making their input propel his organization to convene the meeting. The meeting was well attended by representatives of Labour Unions, lawyers, media, NULGE, academia, members of NYSC, organised private sector and other CSOs.